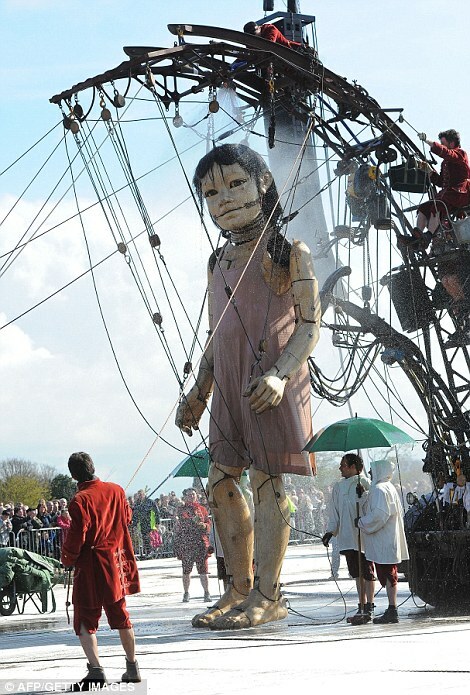 Then it’s the giant parade girl puppet that take 10 people to operate. Except it’s miniature. So it’s a giant miniature marionette that walks down the miniature street. Then a Faberge egg that opens up and an elephant walks out. This is an actual thing.